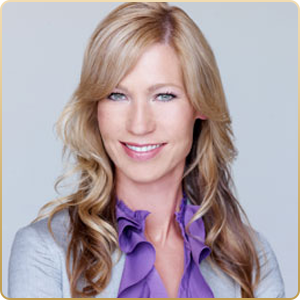 Kelley Keehn is a best-selling, award-winning personal finance expert, speaker, media personality and author of nine books including The Money Book for Everyone Else, She Inc., The Woman’s Guide to Money and The Prosperity Factor for Kids. She is proud to be a member of the National Steering Committee for Financial Literacy with the Financial Consumer Agency of Canada. Ms. Keehn is a popular media guest, appearing on TV and radio around the globe, and has written many columns and published articles. She has been a regular contributor for CNBC (New York), a nationally syndicated columnist with CBC radio, the host of W Network’s Burn My Mortgage, and a weekly columnist for the Globe and Mail and AOL’s WalletPop Canada. She is a personal finance expert for The Marilyn Denis Show and has been quoted in O, The Oprah Magazine. Her last book, A Canadian’s Guide to Money-Smart Living was released in February of 2013 and published by the Canadian Institute of Chartered Accountants. The book went on to win an Excellence In Financial Literacy Education award, granted by The Institute for Financial Literacy. Her newest book, Protecting You and Your Money; A Guide to Avoiding Identity Theft and Fraud, was published by the Chartered Professional Accountants of Canada, launched on Parliament Hill in the spring of 2014 and also went on to win an Excellence in Financial Literacy Education award. For more information, visit www.kelleykeehn.com.